Hi guys, and welcome to a new ‘Something Different Sunday’, where I take the opportunity to talk about… well, something different than books. Last time I talked about K-pop, and this time I want to talk about another recent obsession of mine. If you have been following my blog for a while, I’m sure it will come as absolutely no surprise whatsoever when I utter the following words: Death Note! I’ve been a huge Death Note fandom since January this year, when I rediscovered anime and was recommended to try the Death Note anime. Now we’re a few months later, and I finished the complete anime series, splurged on the complete manga collection, watched 3 of the live action movies and the complete tv drama and have even become addicted to the musical songs, both English and Korean. So I think it’s safe to say I have a slight obsession. And absolutely no regrets, because Death Note is pretty amazing! So why not share the love and give you a few reasons why I think this so amazing? But first, what is Death Note? Death Note is a Japanese manga and anime series, written by Tsugumi Ohba and illustrated by Takeshi Obata. The story follows Light Yagami, a high school student who discovers a supernatural notebook from a Shinigami named Ryuk that grants its user the ability to kill anyone whose name and face he knows. Light then decides to use the notebook to kill criminals and as such to create (and rule) a world that is cleansed of evil. He becomes known to the public as Kira and catches the attention of the police with his killings. Soon he is hunted by a genius detective by the name of L and they begin a cat and mouse game. 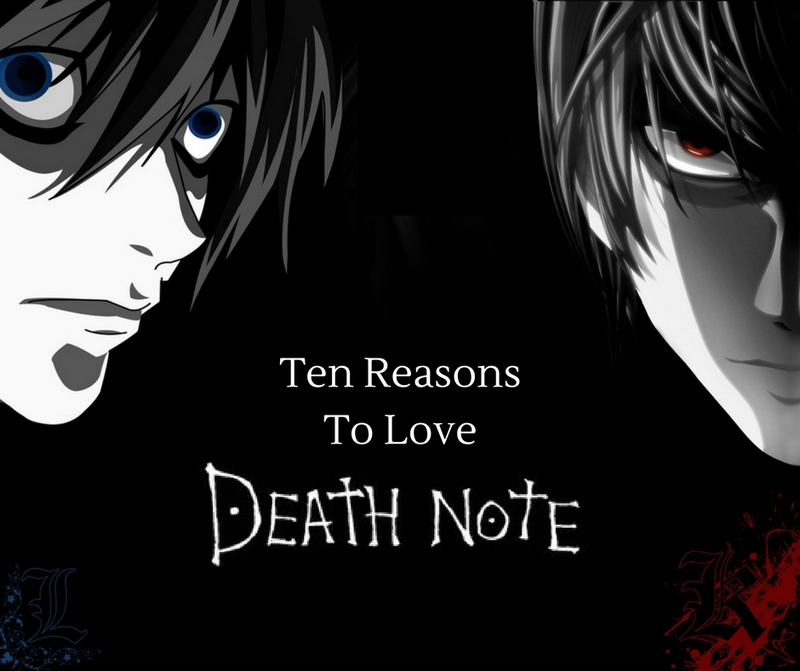 What is there to love about Death Note? The story poses a lot of interesting questions on topics such as good, evil and justice. Do you think Light is doing a noble thing by using the notebook to eliminate criminals? Or do you think L is right that he should be hunted down and stopped? If the crime rates are dropping, is this really a better world? Is it still justice if one person decides who should die and who should live? What would you do when you would come into possession of such a powerful, dangerous notebook? Continuing from the first point, there aren’t really any clear heroes and villains in the story. Pretty much every character is in a morally gray area. Neither Light nor L is your standard hero. They are both capable of doing bad things with good intentions and their beliefs are what put them directly opposite eachother. And this trend continues with the other characters, whether it’s Misa who kills out of a feeling of love and thankfulness to Kira or Matsuda who hunts Kira while questioning if it’s really the right thing. The whole series and all of the characters operate in a gray area, which is just super unique and refreshing. Though all of these characters are super intriguing, my own personal favorite is the detective, L. He is the world’s greatest detective, but always works anonymously under the pseudonym of L, so no one has ever seen his face or knows his real name (which of course makes it very difficult for Kira to kill him). He lives alone, and only his manager, Watari, can contact him. He has a lot of very peculiar character traits that make people underestimate his ability and intelligence. For example, he hardly ever wears shoes, looks generally very disheveled, eats only sweet things and always adopts the same strange sitting position. Though he lacks social skills and has some questionable methods in this investigation, he quickly became my favorite character. The series will have you on the edge of your seat all of the time, with the sheer psychological terror and mindgames between Light and L. It’s two geniuses who are squaring off against eachother and as such, Death Note is not all about the gore and horror, but more about the cat and mouse game and the anticipation in watching these two try to outwit eachother at every turn. Obviously, the Death Note is something that does not exist in this world, so the idea was linked to the mythological creatures of Shinigami, or Death Gods. In the story of Death Note it is a Shinigami named Ryuk who drops the Death Note on earth out of boredom. Both the Death Note and the Shinigami world come with their own rules and throughout the series we slowly learn of these together with Light. And of course, we end up meeting a few other Shinigami other than Ryuk. For a very dark and gritty series, there is still a lot of humor inserted throughout to keep it a bit balanced. Most of this humor is provided by Ryuk, Misa, L and Matsuda. Though a lot of this humor is still pretty dark, if you can appreciate a bit of dark humor, you’ll love Death Note. You didn’t think writing names in a notebook would be boring, did you? Well, guess again! Because writing never looked more epic than it does in Death Note! You’ll be wanting to write this epically before you know it! Whether you prefer reading or watching, there are PLENTY of ways to enjoy Death Note. I’d recommend starting with the original manga series or by watching the anime series. If this doesn’t quench your thirst, I’d continue with the movies and live action tv show. If you still want more you can look up the musical (yes, there’s even a musical). After that, there is plenty of fanfiction out there that may tide you over for a bit. The Death Note manga series was first serialized in the Japanese manga magazine Weekly Shōnen Jump in 2003. The series has since ended with a total of 108 chapters. Later, the individual chapters were collected into twelve separate tankōbon. In 2005, the first English language volume was released. In addition, a guidebook for the manga was also released, named Death Note 13: How to Read and contained data relating to the series, including character profiles of almost every character that is named, creator interviews, behind the scenes info for the series and the pilot chapter that preceded Death Note. The Death Note anime, directed by Tetsurō Araki and animated by Madhouse, aired in Japan from 2006 until 2007, totaling 37 twenty-minute episodes. In 2007, DVDs of the series have also been released, containing both an English dubbed audio track and the original Japanese audio track with optional English subtitles. 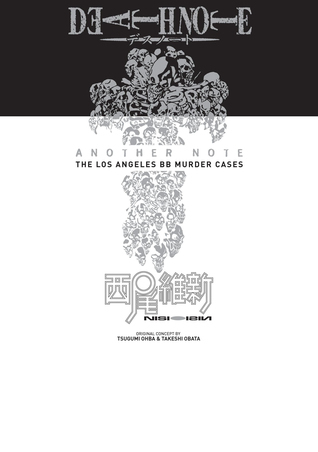 Written by Nisio Isin, this novel is a prequel to Death Note and tells the story of when L worked together with Naomi Misora to solve the Los Angeles BB Murder Cases. Written by M (a pseudonym used by four different authors), this is the novelization of the L: Change The World movie (see below). Death Note was adapted into a series of live-action films in 2006. The first film, simply titled Death Note, premiered in Japan on June 17, 2006. It roughly follow the Death Note story (with a few changes) from the beginning until the Ray Penber and Naomi Misora arc. 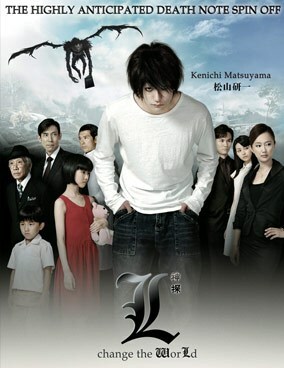 The sequel, Death Note: The Last Name, premiered in Japan on November 3, 2006 and roughly follows the Misa Amane and Yotsuba arc, again with several changes to the original story. I loved both movies – they tell a great story, the visuals are spot-on, and I mostly did like the changes they did. 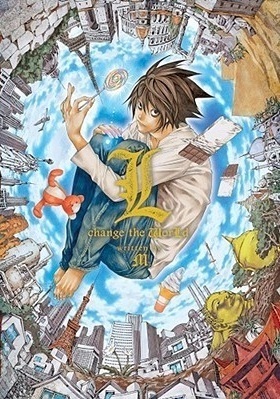 A spin-off from the films named L: Change the World was released in Japan on February 9, 2008. It is focused on L, as he solves a case involving a bio-terrorist group. 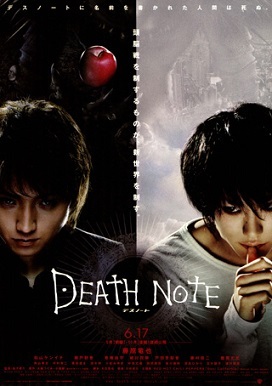 While this is not a must-watch if you just want the Death Note story, it’s still a fun little extra for fans of L. It can be watched separately from the other movies, though I would suggest watching those first if you don’t want to end up spoiled for some things. Death Note: Light Up The New World is a sequel set 10 years after Death Note: The Last Name, featuring a new set of characters. 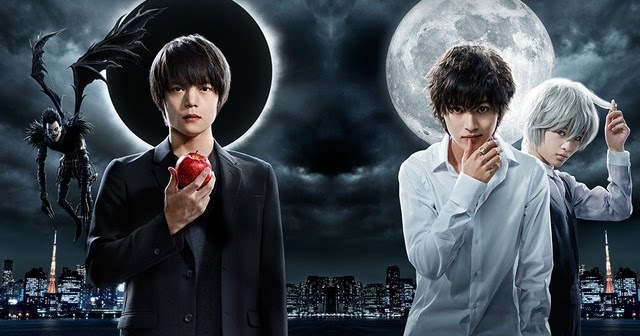 In 2015 a live action television series based on Death Note manga aired, starring Masataka Kubota as Light Yagami and Kento Yamazaki as L. The 11 episodes can be viewed on Crunchyroll, Dramafever or Kissasian. Its a bit different from the anime in a few small and a few big ways, but I did really enjoy it overall. I liked that they gave Light a slightly different backstory to humanize him more, there is a bigger focus on the Light/L friendship/connection, Misa has a bigger role and I even liked what they did to Mikami. I was not a fan of what they did with the characters of Near and Mello though. Also, L is a bit different from the anime. They cut down on his quirks (the sitting, the sweets, the shoes) A LOT and made him just a bit more arrogant instead of socially awkward and aloof. But overall I still loved this so much and I kind of already want to rewatch. The anime has an amazing soundtrack with songs and themes that really fit the mood perfectly. Also, the first intro song (by The World) is one of my all-time favorites. Check it out below! There you have it! Just a few reasons why I love Death Note. So let’s talk! Have you already read the Death Note manga, or watched the anime, movies, or tv show? If yes, what did you think? Do you agree with my reasons? Or is the story completely new to you? And if so, did I maybe convince you to give it a try? Loved this series. I really need to finish it. But the first few were so good. Ok I have heard so much great stuff about this series, and I think I want to try it! But I’ve never read manga except maybe one webcomic, so the fact that there’s so much with this one is overwhelming?! But I maybe have to just pick up the first volume and give it a go because everything in this post has me so interested! 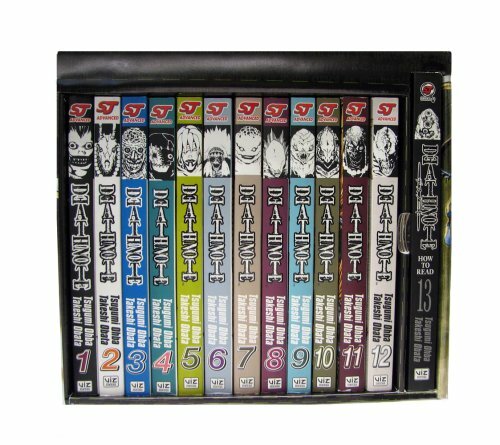 I’d definitely recommend this series and I hope you’ll love it 🙂 There are indeed 12 volumes, but I think they read pretty easily and quickly. Maybe if you want to be sure you like it, you could try a few anime episodes before committing to the manga? Death Note was my first experience with Manga and I really loved it! I’ve also watched a few episodes of the anime and quite liked those too. Like everything else in my life I’ve yet to continue either of them ? I really want to though!! !